What does the acronym PEAC stand for? Can the software be purchased using Department of Homeland Securities grants? What is included in the purchase of a license for the software? Are there training materials provided with the purchase of the software? What PDA platforms are compatible with the PEAC-WMD for the Pocket PC? What are the minimum hardware requirements for the PEAC-WMD Windows version. Can we overlay the calculated exclusion zones or safe standoff distances for different hazards onto a map? What are your reference sources for the database? How does PEAC compare to Cameo and D2PC? How can I view an online demonstration? Can I install my own form templates? Q: What does the acronym PEAC stand for? A: Palmtop Emergency Action for Chemical. PEAC is pronounced PĒĒK as in mountain peak. The original release of the software in late 1996 was written for an Apple Newton MessagePad 130, which was one of the first commercially available handheld computer or PDA (personal digital assistant) products, hence the “Palmtop” in the name. Now the application runs in different OS (operating system) environments for a multitude of different hardware platforms. Q: Can the software be purchased using Department of Homeland Securities grants? Law Enforcement Terrorism Prevention Activity (LETPA) - focuses upon the prevention of terrorist attacks and provides law enforcement and public safety communities with funds to support intelligence gathering and information sharing. States are required to ensure that at least 25 percent of their SHSP award funds and at least 25 percent of their UASI award funds are dedicated towards law enforcement terrorism prevention-oriented planning. Q: What is included in the purchase of a license for the software? A: Each license includes the selected version of the software (Windows or Pocket PC) and free access to Technical Support and all new releases of the application for one year after purchase. A subscription to subsequent years of Technical Support and new releases can be purchased during the initial purchase or at a later date. There is also included with each license the training tools as described in the next question. Q: Are there training materials provided with the purchase of the software? ·	A pdf file of the PEAC User’s Guide that documents the entire application and includes numerous screen shots and examples of how the application’s features are accessed and discussion as to the circumstances when a feature is applicable to specific hazards. ·	A comprehensive tutorial that steps a user through all features of the application. ·	A library of video vignettes that run through individual features to demonstrate how a feature is executed. There is also available optional multi-media interactive web-based courseware that provides detailed instructions on using the application. The courseware is student paced and can be accessed numerous times as required by a student and can also be used as a refresher. It requires 6-8 hours of contact time depending on the individual and is recommended being combined with the instructor led training described below. The two instructor led training classes available are: (1) an 8-hour training course for end users and (2) a 16-hour Train-the-Trainer class that can be scheduled at an agency’s location, which is led by an AristaTek certified instructor. Call our toll free number for information on pricing and scheduling, 877-912-2200. Q: What PDA platforms are compatible with the PEAC-WMD for the Pocket PC? A. There are numerous platforms the application is compatible with and new products are being marketed almost daily in the marketplace, which makes it difficult to keep a current list of platforms up to date. The best answer is to call AristaTek Technical Support and we’ll answer the question. AristaTek can provide a PocketPC platform made by Trimble if a customer is seeking suggestions on rugged platforms. Q: What are the minimum hardware requirements for the PEAC-WMD for Windows version? Q: Can we overlay the calculated exclusion zones or safe standoff distances for different hazards onto a map? A: Yes. The Windows version of PEAC-WMD software provides access to two different mapping tools that automatically overlays a calculated result on a map for locations. The first tool referred to as the PEACMap Tool is for locations only in the USA. The second tool is an interface to the Google Earth application, which will provide mapping for any location in the world. Both the Windows and Pocket PC versions create ESRI shape files for the calculated polygons displayed on maps, which can be imported into third party mapping applications, such as ArcGIS. Q: What are your reference sources for the database? A: This is a list of the primary references used to create the PEAC database and all of the following references are in the public domain. 1. NIOSH Pocket Guide to Chemical Hazards. 3. 49 Code of Federal Regulations Part 172, Hazardous Materials Table. 4. 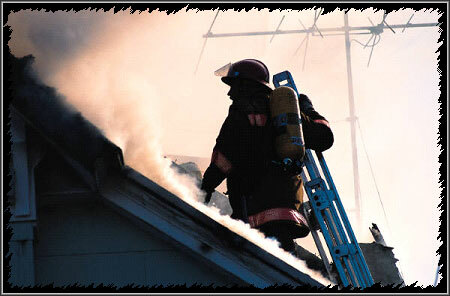 National Fire Protection Association, Fire Protection Guide to Hazardous Materials. 5. CHRIS Manual (Chemical Hazards Response Information System), U.S. Department of Transportation and U.S. Coast Guard. 6. CAMEO, U.S. Environmental Protection Agency, Washington D.C. and National Oceanic and Atmospheric Administration, Seattle, WA. 7. DOD-supplied information for chemical warfare agents and precursors. Comment: Information learned as the result of the 1999 AristaTek contract with the Department of Defense was checked against information in the public domain. Only information in the public domain has been incorporated into the PEAC tool. 8. Internet Source: ChemFinder. (www.chemfinder.com). 10. Lide, D. (editor). Handbook of Chemistry and Physics, 75th edition, 1996. CRC Press, Boca Raton, Florida. 11. Dean, John (editor). Lange's Handbook of Chemistry, either 12th (1979) or14th (1992) editions, McGraw Hill, N.Y., N.Y.
12. Perry, R.H. and C.H. Chilton. Chemical Engineers Handbook. 5th edition, 1963. McGraw Hill, N.Y., N.Y.
13. Daulert, T.E. and R.P. Danner. Physical and Chemical Properties of Pure Chemicals. 1992. Hemishere Publishing Company, Washington D.C.
14. National Institute of Standards and Technology, U.S. Secretary of Commerce. NTIS Chemistry Webbook. 1998. 15. Budavari, Susan (editor). The Merck Index. 12th Edition. 1996. Merck and Company. Whitehouse Station, N.J.
16. American Industrial Hygiene Association. Emergency Response Planning Guidelines for Chemicals. 1999. 18. Waste Types 1 through 100 (UN numbers 9301 through 9400). Comment: The North American Emergency Response Guidebooks (both 1996 and 2000 editions) lists UN numbers 9301 through 9400 for Waste Types 1 through 100. These are Canadian designations. The meaning of these designations has been incorporated into the PEAC tool using information supplied to AristaTek FAXED from Transport Canada. 19. Forsberg, K., and L.H. Keith. Chemical Protective Clothing: Permeation and Degradation Compendium. 1995. Lewis Publishers, CRC Press, Boca Raton, Fl. Comment: Permission was obtained from the publisher to incorporate information on chemical protective clothing into the PEAC tool. Q: How does PEAC compare to Cameo and D2PC? A. D2PC is a modeling software application developed by the US Army; it is not currently available in the public domain. The application runs in a DOS environment. D2PC was primarily designed to handle the dispersion of CWAs (chemical warfare agents), which are typically released in small quantities and it is therefore not designed to deal with dense gas releases. CAMEO is the software application developed by the US EPA and NOAA. It is available free of charge from EPA and can be downloaded from their web site. CAMEO has some features similar to the PEAC-WMD application. Specifically it has: (1) a chemical properties database, (2) a limited chemical protective clothing database, and(3) it has a modeling feature (the ALOHA model) that has an interface similar to the PEAC-WMD modeling interface. The CAMEO application is also used by EPA as a method for LEPCs (Local Emergency Planning Committees) to enter local chemical inventories to meet the requirements of the SARA Title III regulations. The CAMEO product compliments the PEAC-WMD tool since CAMEO is designed to be a planning tool, not a response tool. CAMEO deals primarily with TICs (toxic industrial chemicals) and provides limited information on chemical warfare agents and their precursors, radioactive isotopes or explosives. It does not provide access to the ATF vehicle bomb tables or an Explosion Calculator, Unconfined Vapor Cloud Explosion Calculator, Gamma Dose Calculator, Fallout Dose Calculator, Pool Fire Calculator, Nuclear Detonation Calculator, and runs in a Windows XP+ environment but not on a PDA. The results from the plume modeling or PAD (Protective Action Distance) Calculator in the PEAC application compares very closely with both ALOHA (the CAMEO plume modeling application) and the D2PC application when comparing results in neutral atmospheric stabilities. These are typically the conditions encountered in daytime settings. There are differences for certain nighttime conditions when the atmospheric stability becomes more stable. The D2PC results tend to be most conservative, with the PEAC distances being between D2PC and the ALOHA results. When comparing stable conditions involving dense gas releases, the PEAC modeling distances are more conservative than ALOHA modeling. Q: How are upgrades provided? A. The user accesses new upgrades via the Customer Service/Login button found on the AristaTek web site. A user is provided a UserName and Password that will allow them to update their registration information 24/7 or access a download of the latest upgrade to their computer. For those customers that lack internet connectivity or because of firewall restrictions, AristaTek is happy to provide a CD for installing the latest upgrades. Q: How can I view an online demonstration? A: AristaTek welcomes and encourages prospective customers and even current customers to take advantage of the online demonstration resources we offer. For most situations within a couple of minutes our staff can display the PEAC-WMD application running on their PC and let the customer see first hand how the application and its many features are organized. The operation of the application can be turned over to the remote user and they have the ability to exercise the application. Q: Can I install my own form templates? A: Yes, but with assistance from our Tech Support staff. The pre-installed forms which are primarily the NIMS / ICS forms and the Chemtrec Hazardous Materials Exercise Request form can be augmented with additional form templates. The benefits to the users are the convenient access to regularly used forms that can be saved with information fields populated either at the scene or later in the office. The forms can be recalled, edited, printed or emailed to share with others as needed. Please contact our Tech Support staff for more information on the specifics.